Pretty safe to say that 91 will have a target on his back when he returns to Brooklyn. The moment that it was announced that John Tavares had signed with the Toronto Maple Leafs in free agency, he became public enemy #1 in the eyes of New York Islanders fans. After nearly a decade with the Islanders, Tavares elected to leave the team in free agency and hasn’t looked back. He’s on fire with the Leafs this season and could potentially hit a new career high with 33 goals and 60 points through 55 games. That, obviously, did not go over well with Islanders fans. Tavares will finally make his long awaited return to Brooklyn to face the Islanders later this month and surprisingly he’s actually looking forward to the occasion. 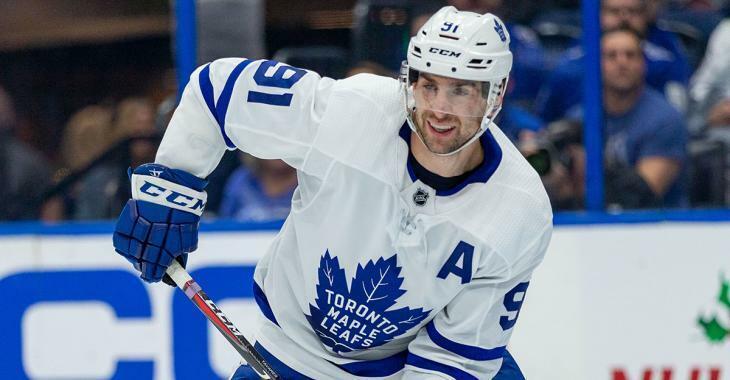 "Obviously it will be nice to see a lot of familiar faces and be back in place that meant a lot – still does mean a lot to me and my career," Tavares said. "As best I can I'll try to treat it like any other game. Obviously it probably won't be like that, but just be the best prepared I can play and whatever the reception is, I'll just focus on playing and trying to play well." Here’s the kicker to it all… the Isles are doing juuuuuust fine without Tavares. Predicted by most fans and analysts to take a HUGE drop off this season, the Islanders actually lead the NHL’s Metropolitan Division and are cruising to a playoff spot ahead of division heavyweights Washington Capitals and Pittsburgh Penguins. Suffice it to say, Tavares’ return to Brooklyn will be must see TV on February 28th.